On Friday, December 23rd, Andrew Hershkowitz (HS '10) of the Bleacher Report came in to speak to our students who are interested in sports media. Andrew, formerly a member of the Falcons hockey team, found his passion for sports aficionado as a high school student which led him to a career in the sports broadcasting life. 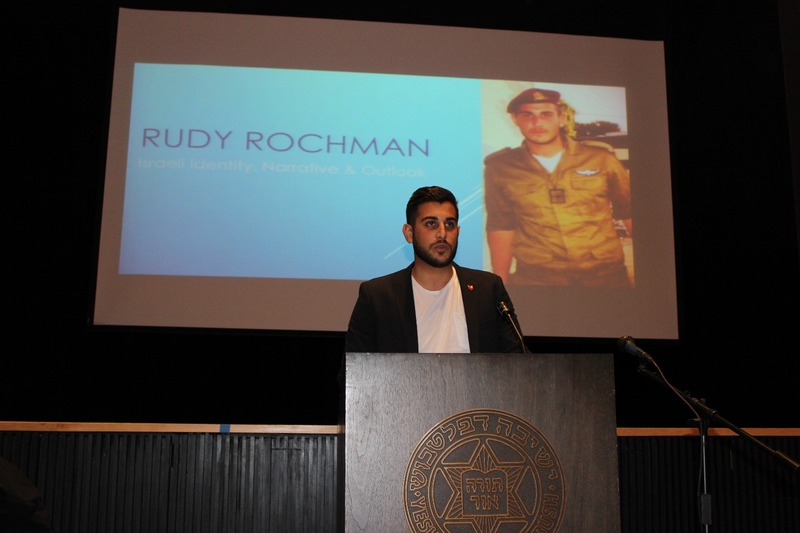 He spoke to a group of 30 students about pursuing a career in sports media and broadcasting. This talk ended in a very lively Q & A discussion, where students were able to ask him what was on their mind. Last week the Senior Class of 2017 had their annual Senior Night, consisting of ice skating and dinner. 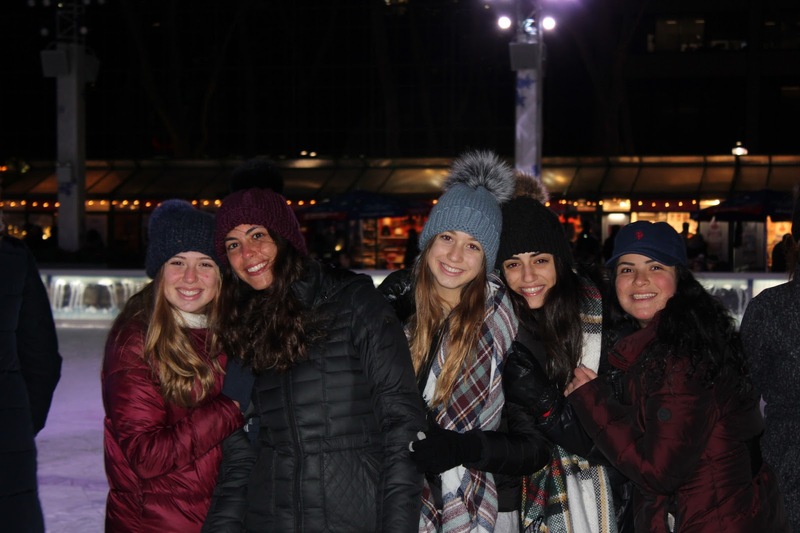 The students departed school for Bryant Park where they strapped their ice skates on to enjoy the night. 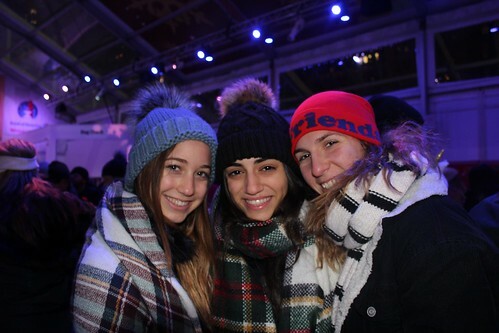 There was cheer and happiness in the air as the students got on the ice. It was crowded, as expected for the prime season, but nothing the seniors couldn't handle. Even those who initially began on the wall managed to skate around with the help of some good friends. After skating the seniors walked a couple of blocks to dinner of their choice. Some chose Bravo Pizza, others Mr. Broadway. We returned home, concluding our highly fun and cheerful evening. This was a great night to bond as a grade and build memories that we will share in the future. Thank you to all the teachers who chaperoned. 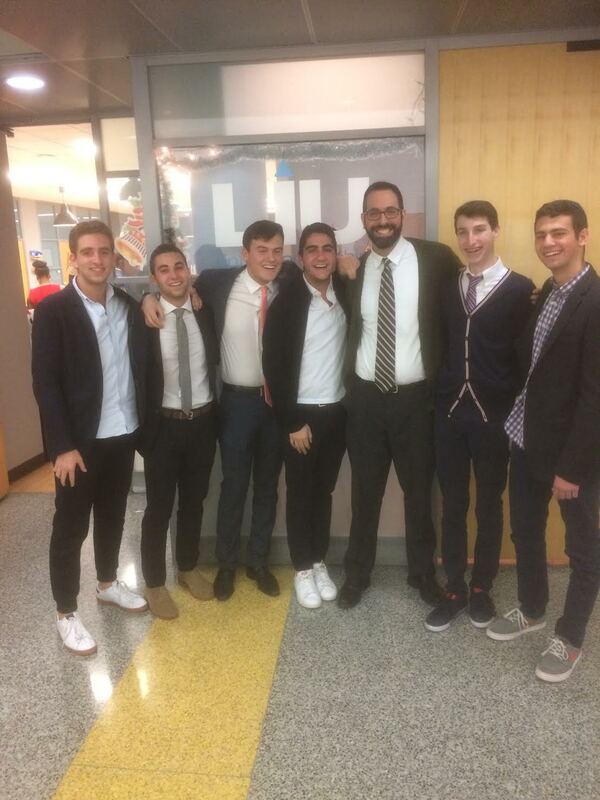 Lastly, thank you to Mr. Galpert and the Senior Council of 2017. Looking forward to future events! 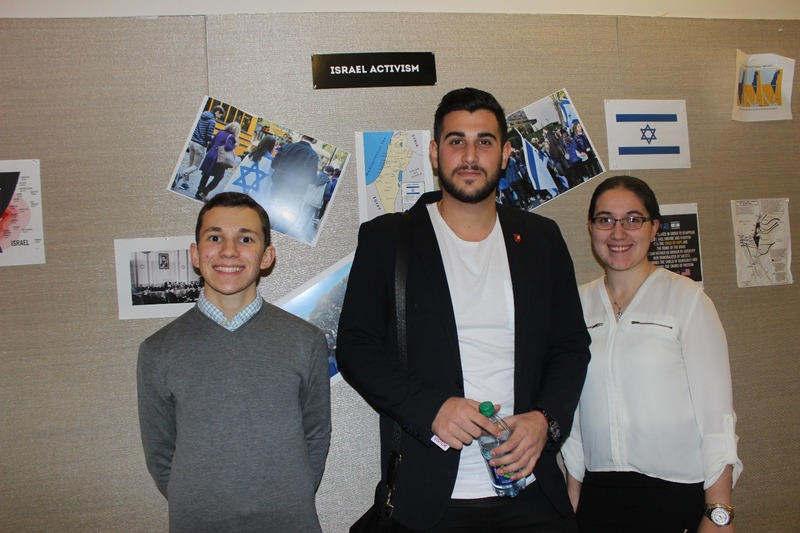 On Monday December 19th students from the Yeshivah of Flatbush, along with their teacher Mr. Kweller, traveled to the campus of Long Island University to compete in the New York Business Plan Competition. 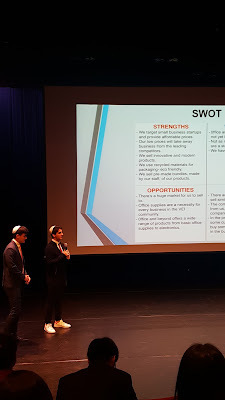 The students presented the business plan and slideshow for their virtual business Office and Beyond to a panel of judges and representatives from twelve other virtual businesses. The event was the culmination of a semester long project in which the Virtual Enterprise International class established a virtual business and ran its day to day operations including product development, creating marketing campaigns, financial reports and a company webpage. Students Alan Frastai, Michael Abadie, Sam Torgueman, Teddy Beyda, Joe BenHaim and Sam Laniado impressed the audience and judges with their presentation and were each awarded $2,500 scholarships in the event they elect to attend Long Island Universities School of Business. The students learned a great deal and are excited to continue to build on this incredible experience. 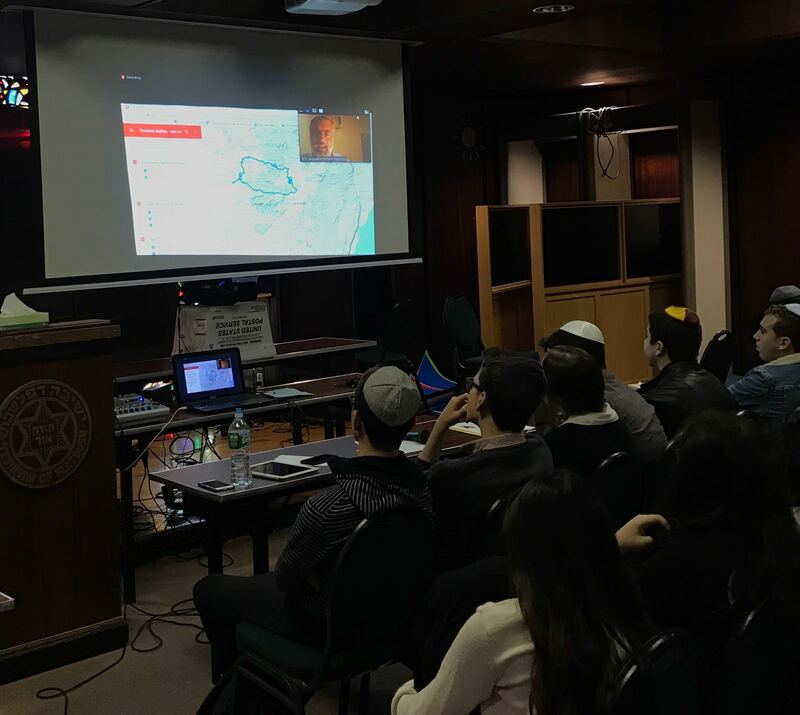 On Tuesday, December 13, two classes of Yeshivah of Flatbush juniors enjoyed a Jewish history lesson via live video feed - all the way from Israel. 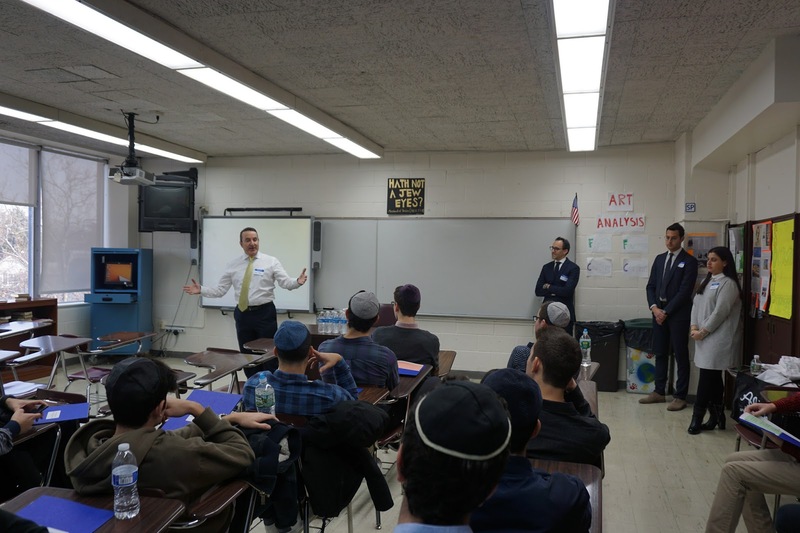 The lesson enhanced topics covered in the Jewish history curriculum while also grounding theoretical topics in reality. Battles that had taken place in the times of the ancient Maccabees were thoroughly explored and analyzed. 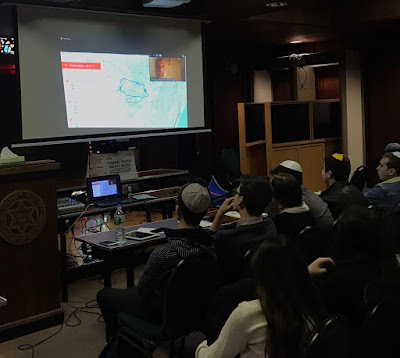 Google Maps software allowed students to survey battle scenes, sifting through rugged landscapes and dust with the use of a simple touchscreen. The in-depth features of Google Maps were also used to re-enact the paths of certain battles. Due to the consistency of the Israeli landscape, battles from drastically different time periods generally follow similar patterns and utilize almost identical strategies. In an oversimplified case, a general forced to choose between setting up camp on a peak or in a nearby valley will always go to higher ground. The general may be dressed in Roman uniform or may be hauling a modern machine gun, but the outcome will always be the same. 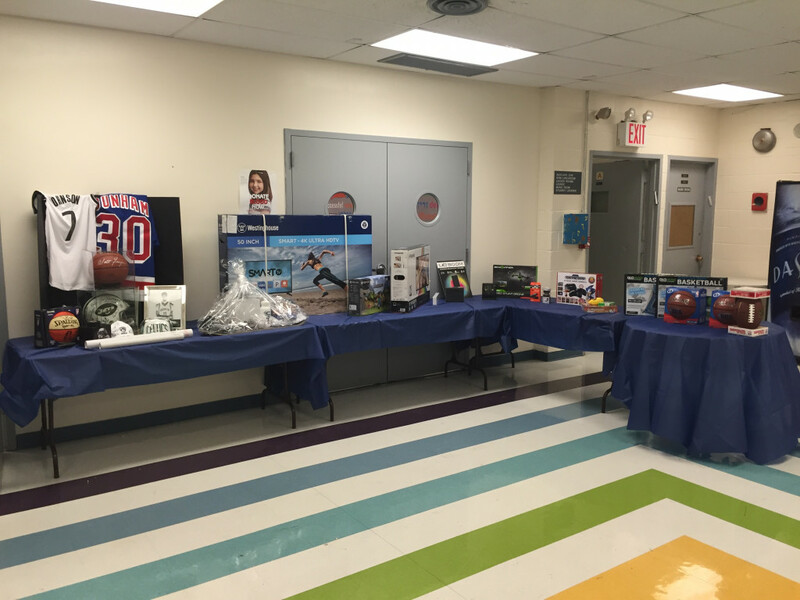 On Tuesday, the Yeshivah of Flatbush Pathfinders Program hosted a Career Day and Summer Opportunities Fair. More than 30 professionals, many of whom were YOF graduates themselves, from a wide array of fields including law, medicine, business, finance, the arts, mental health, technology, and education professionals all shared their experience and wisdom in order to give our students their perspective on what it takes to succeed. 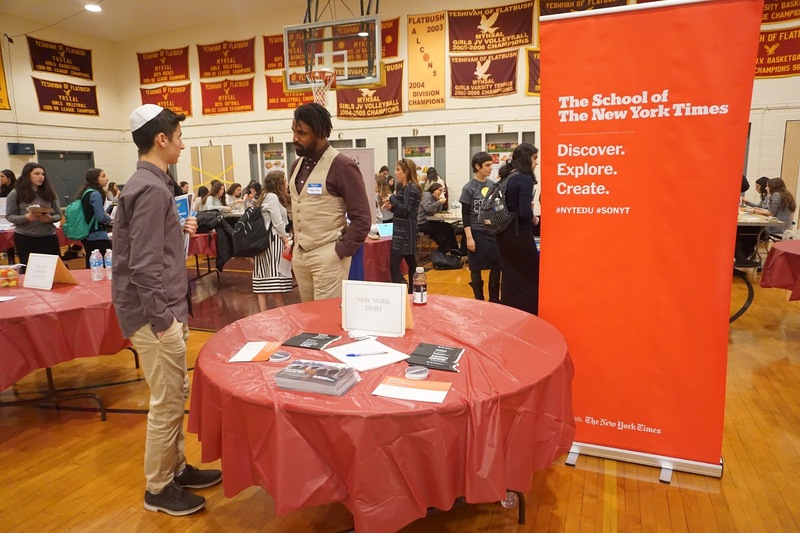 Principal Rabbi Joseph Beyda introduced the program and encouraged students to think beyond high school and college and take advantage of the opportunity given to them to explore their future. 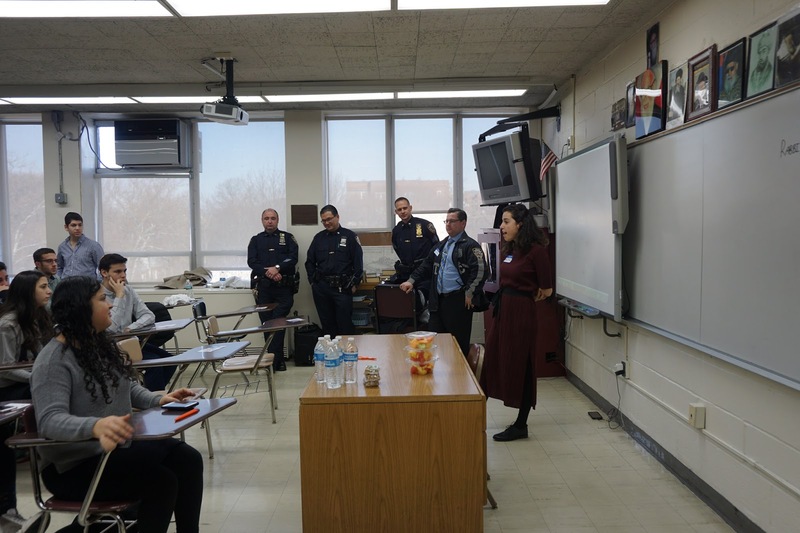 YOF Alumna Susan Kasavi (HS 2011), who spearheaded the idea for the fair while a student at Flatbush, spoke to the crowd as well. Afterwards, students then headed to their individual sessions. Each professional gave the students a glimpse into a different career and the journey that they took that led them on that path. The students were enthralled with the presentations and put forward thoughtful questions for the professionals to address. 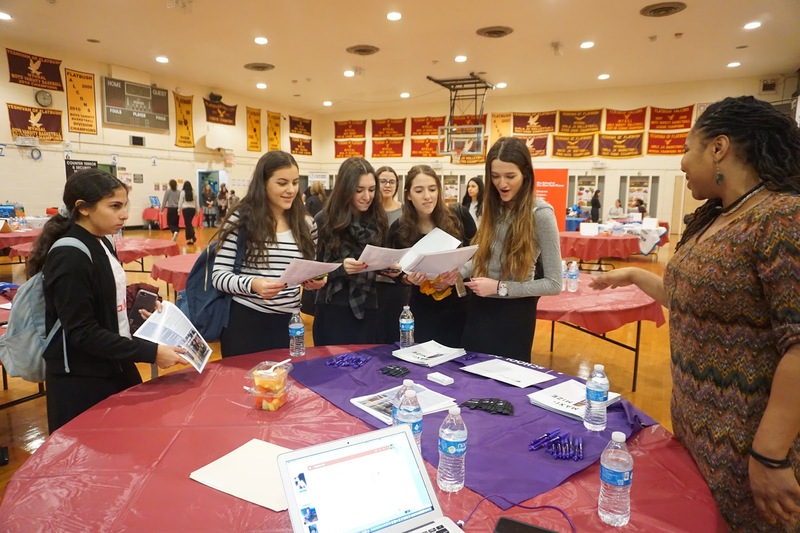 Each career representative stressed the importance of trying different jobs and internships in order to find your passion as well as realizing it is never too late to explore another option if your first choice doesn’t work out. 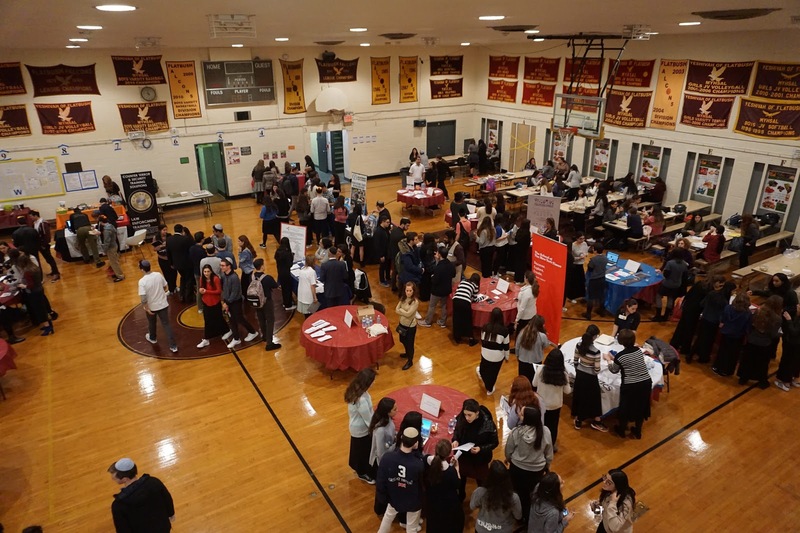 The second part of the day’s programming was the first Summer Opportunities Fair, headed by Junior Sally Elbaz and a strong committee of eight students. 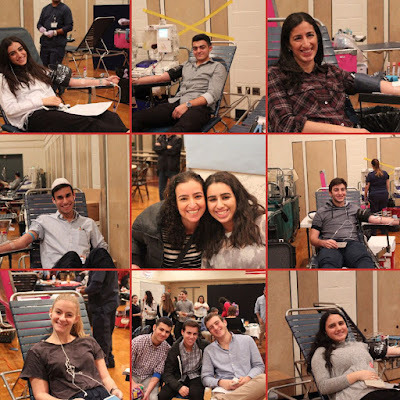 Over 26 venders, including JNF, Emunah, SCC, Tikvah, Allegra Franc, NYU, NY Times, LIU, and Maimonides Medical Center to name a few, were all in attendance. The fair took place during lunch giving all students the opportunity to speak with representatives and sign up to receive more information about their programming. 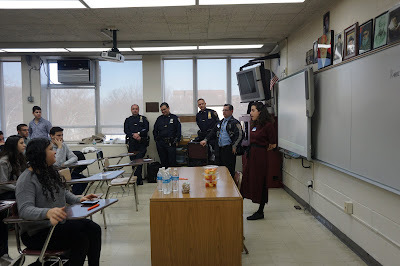 The day was a fantastic way for students to hear first-hand how to accomplish their goals and follow their passions. Special thanks to Pathfinders Coordinator Shifra Hanon, Doris Anteby, Susan Kasavi and the Career Day Committee for making the day such an enriching experience. The Pathfinders Program is always look for new sources. If you would like to provide an internship in your organization please contact Shifra Hanon and Doris Anteby. 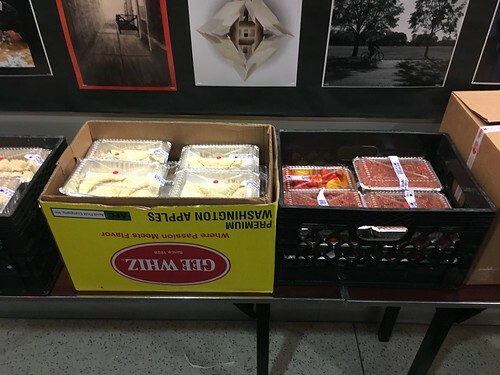 Yesterday, chefs Mrs. Ravit Mosseri, mother of Suzy and Jack; Mrs. Paula Smouha, mother of Isaac and Daniel; Mrs. Limor Madeb, mother of Grace; and Mrs. Joyce Matalon, mother of Sharon and Morris, took over the student lounge to make over 3500 pieces of mazza for a Grand Mazza Cooking for a Cause event. 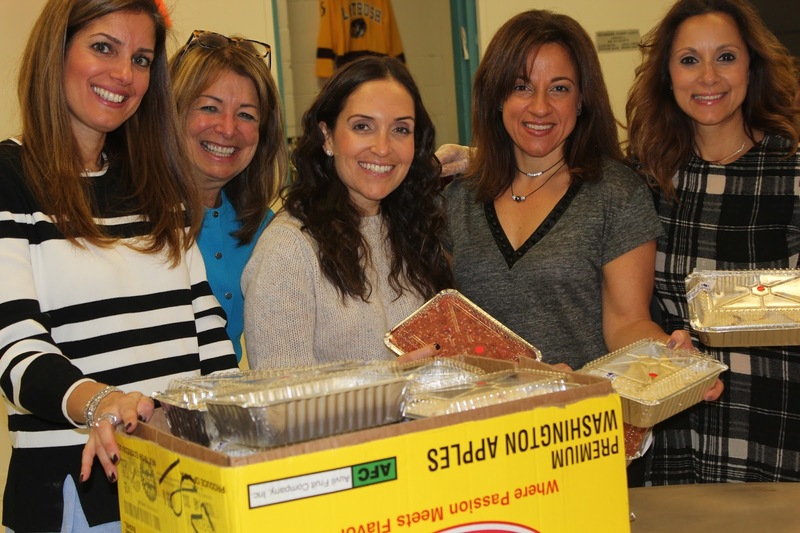 Cooking for a Cause gives students the opportunity to learn how to prepare a variety of entrees, dinners, and desserts while participating in a Chesed event. All of the food prepared in these events are sent to needy families who can then enjoy delicious homemade dinners. 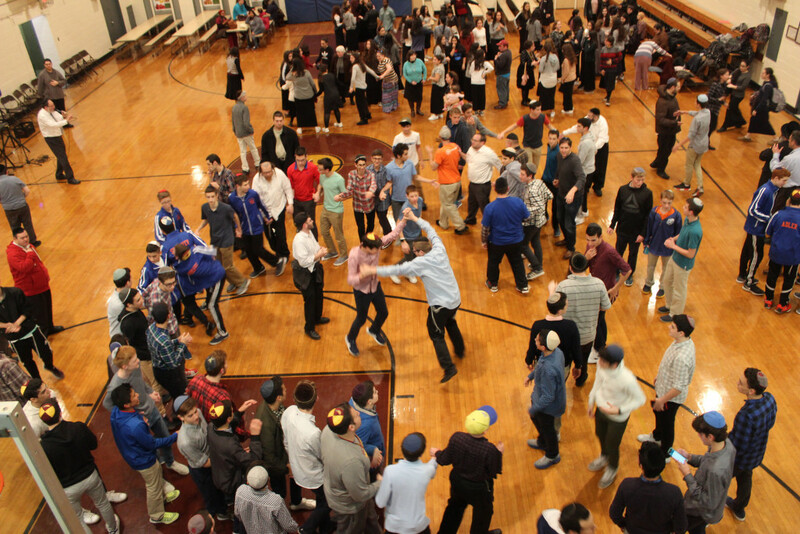 Words can only begin to describe the amazing atmosphere that is the Shabbat experience of the Hausdorff Weekend in Brooklyn, NY. When they say “you had to be there,” it is truly applicable in this instance. With Rabbi Besser at the helm, the Hausdorff Tournament not only brought boys from four distinct and different regions of the country together in welcoming the Shabbat, the boys and their coaches shared Divrei Torah and Mishnayot that were both insightful and inspirational in ways that certainly served to “elevate the spirit” of the event’s namesake, Thomas “Tim” Hausdorff. 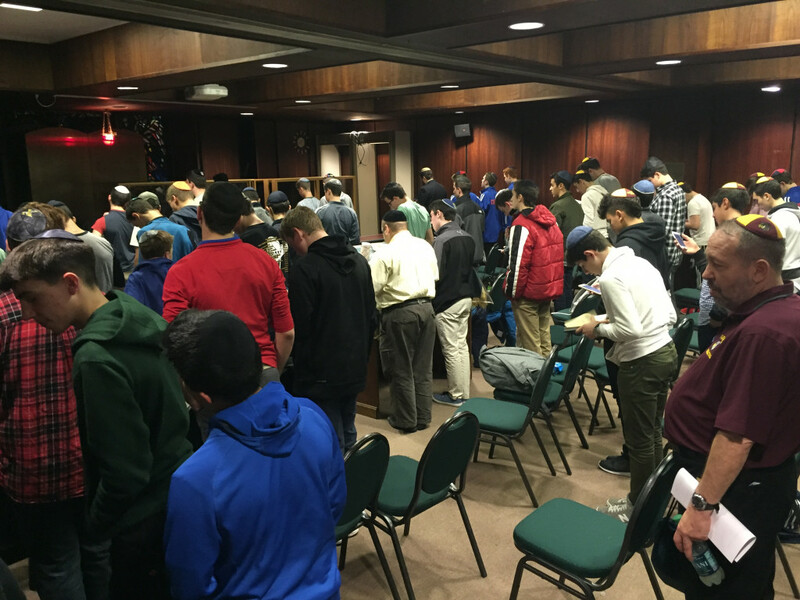 The crowning event of the Shabbaton part of the weekend was clearly the oneg shabbat on Friday night. 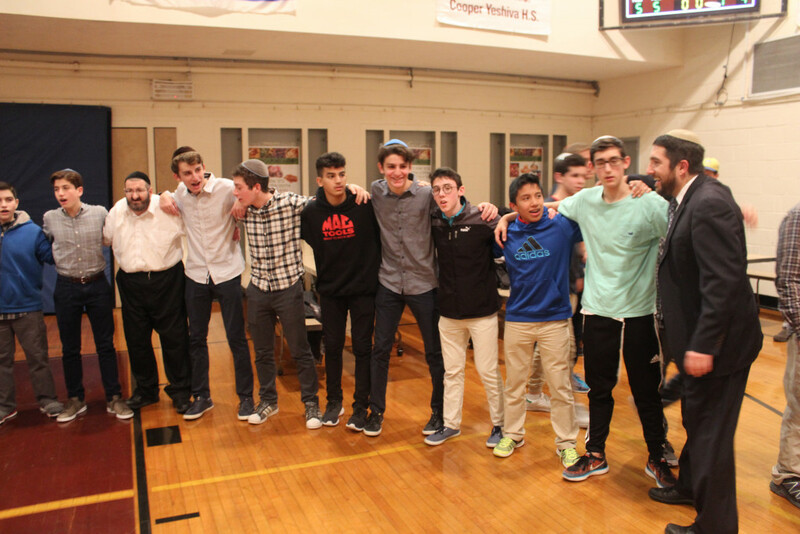 Hosted graciously by Flatbush family Amy and Steve Sasson in their beautiful home a few blocks from Flatbush HS, the student-athletes joined in celebration of the Shabbat with words of learning from Flatbush ballplayer Ricky Sasson and from Katz Yeshiva administrator Shimmy Kaminetsky. They heard words of appreciation from Katz Yeshiva Head Coach Uri Yudewitz and Cooper Yeshiva Head Coach Jason Redd. But it was Flatbush Coach “Rabbi” Gus who really boosted the crowd as he started the singing with a number of heart-felt zemirot. 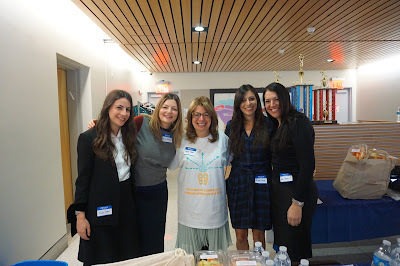 To see, hear and feel the respect and energy the Hausdorff participants and Committee members gave to their singing and celebrating was both emotionally uplifting and communally rewarding – in the real sense of coming together as Klal Yisrael! 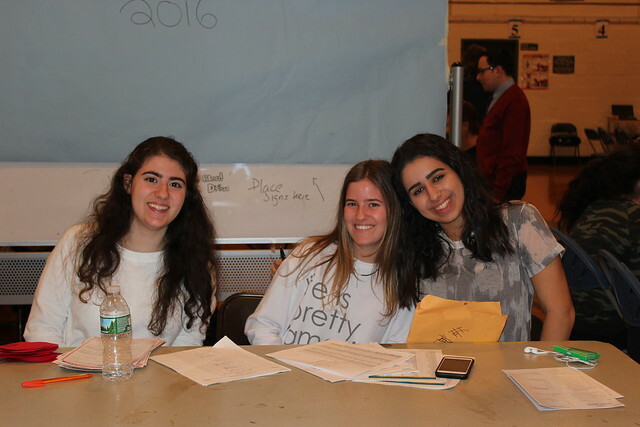 After havdalah at the local host houses, it was time to get the action going in the Falcons Nest once again in the final round of preliminary contests. The early game saw Memphis’s Cooper Macs face off against Detroit area’s Farber Pioneers. Both teams came in to the game looking for their first win of the tournament. Farber wasted no time getting things in gear taking the opening tip straight to the hoop for a strong inside lay in. Play was spirited, with both teams actively pursuing the ball over every inch of the court. But the hoop proved elusive to the Macs, as they needed nearly half the period to register their first points in the game. After one period of play, the score stood 13-3 in favor of the boys from Michigan. Cooper gained a semblance of equality in play in the 2nd Quarter, as the two teams each scored 6 points in the period, but it did not allow the Macs to close the gap, and the score stood 19-9 at the half. 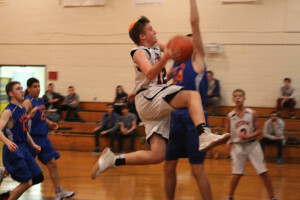 Quarter 3 saw Farber find a little bit of its offensive groove, as they were able to put tether a big run late in the quarter to get separation from the Macs for a 39-16 advantage. 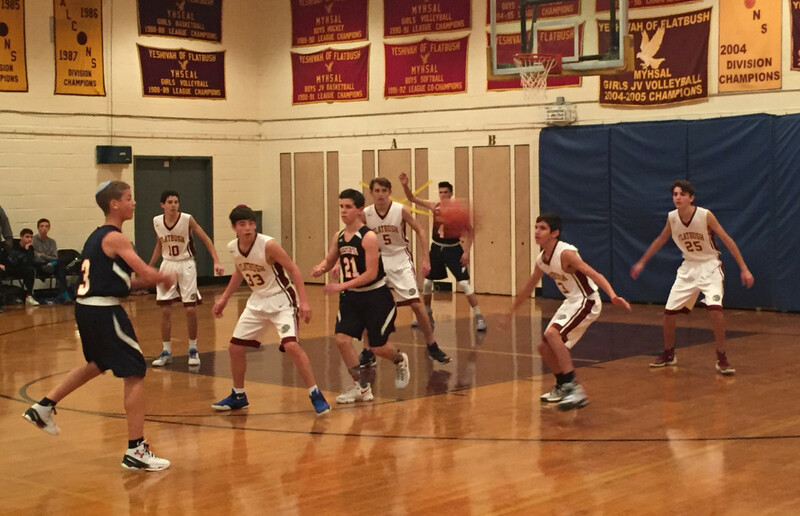 The final period was more of the same, and Farber closed out the win, 48-29. The Saturday nightcap would see two teams yet to lose at the Tournament, and by the end of the night, only one would remain perfect on the weekend. Flatbush hit their opening salvo, a long shot from Joe Kattan for the early 3-0 lead. The Katz press yielded its first dividend for the Storm when a turnover led to an easy lay in to make it a 5-2 ball game, but the falcons answered right back with a lay in by Isaac Sutton. 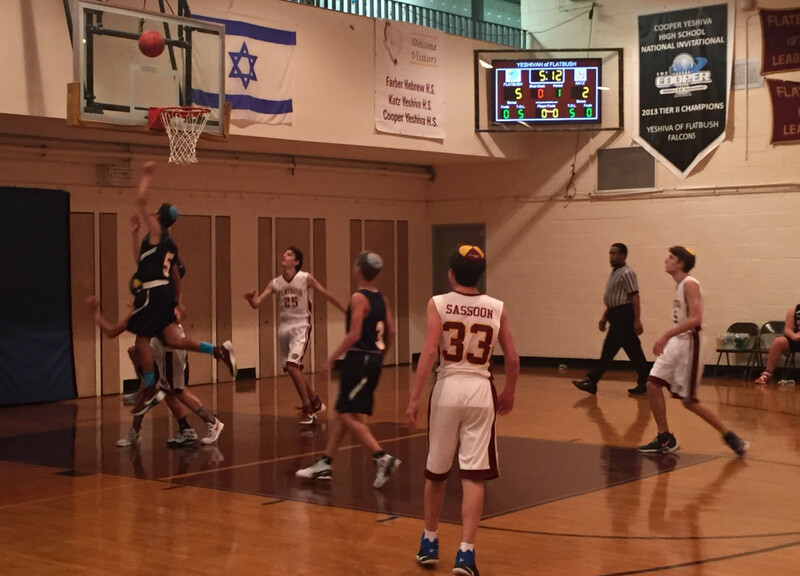 Katz finally got even on the scoreboard when Noah Mamman hit a 3 to knot the score at 9 apiece, but Flatbush’s A.J. Cohen swished a corner “j” to take back the lead. It was now a see-saw battle, and the score score stood even, 13-13, after one. The Storm found a new gear in the 2nd Quarter, ripping off 10 straight points to take a 23-13 lead less than a minute and a half in and prompt a Flatbush timeout. Katz eventually extended their lead to a largest of 15 points in the period, and held off a late run from Flatbush to take a 32-21 lead into the intermission. Halftime brought one of the most anticipated activities of the Hausdorff Tournament – the “Split the Pot” drawing and the “4-Shot Parlay Shootout, for the raffle prizes (including a 50” flat screen TV, and Apple Watch, XBox-1, bluetooth speakers, Spalding Basketballs, NFL “Duke” Football and assorted pro sports memorabilia – including a NY Jets helmet signed by all the members of the 1969 Super Bowl III championship team, the crown jewel of the collection). 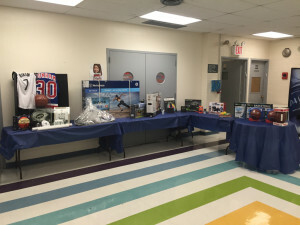 Though no shooter hit all 4 shots (a lay up, a free throw, a three-pointer and a half-court shot: all must be in a row and in under 30 seconds to win the full memorabilia collection), Flatbush Sophomore Abe Chetrit was the big winner, taking home the top prizes. 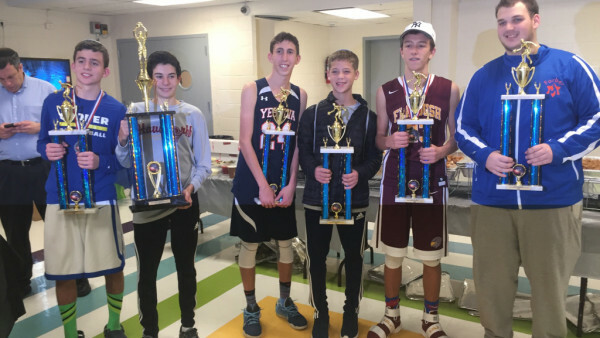 After the what equates to Showtime at the Hausdorff Tournament, the Falcons and Storm returned to the court to finish what they started. 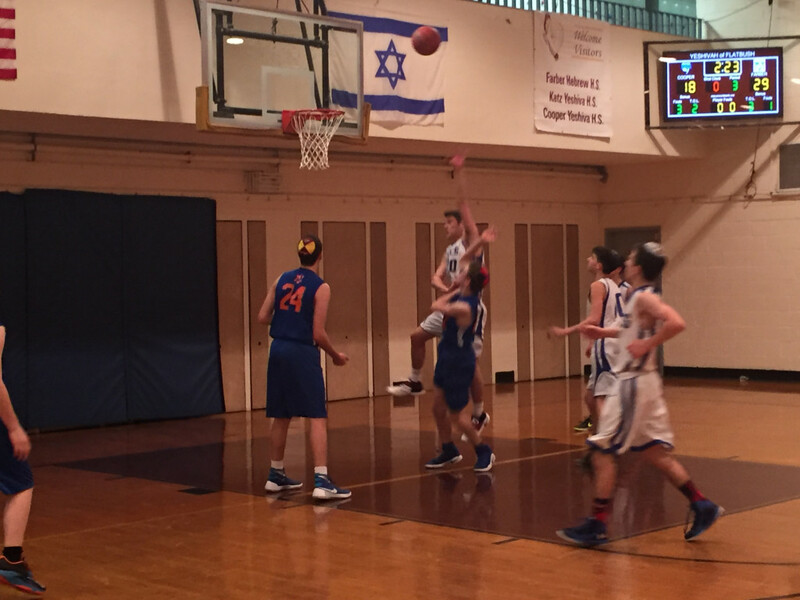 Flatbush again scored first, but this time Katz answered immediately to extend their lead to 37-24. Flatbush got the deficit under double digits with one minute to play in the period, but the Storm got the last salvo to push the lead back to 10, leading 40-30 after three quarters of play. The final quarter was all about the defense. By the 3:33 mark, Flatbush was extra stingy on defense, not allowing a single Storm point, but the Falcons could only muster three of their own to make it a 40-33 ballgame. Katz got off with a free throw, but an ensuing hoop by Flatbush made it a 5-point game with 2:17 to play. 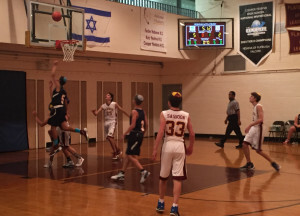 A David Dweck falling lay in of a huge rebound cut the lead to only 2 points with under a minute to play. 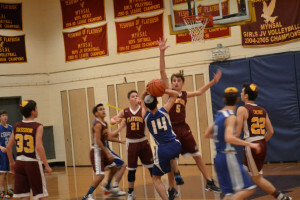 Then, Flatbush forced a turnover on an errant long pass by the Storm, and Dweck soon found himself on the line with a chance to tie the game. He could only muster 1-2 to cut the lead to only 1, 41-40, with 40 seconds to play. Katz drew a foul and they, too, converted 1-2, to return to the 2-point cushion. With the ball and trailing, Flatbush called timeout to set the scene for the final 27 seconds of play, and what would be the most exciting finish of the tournament to this point. 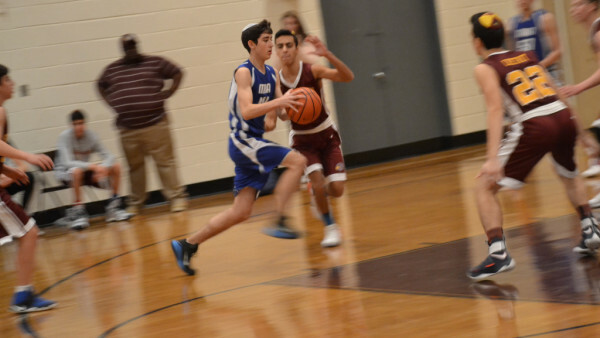 But after running the offense for a bit, the back court turned the ball over, and fouled Katz’s Abie Betesh as he was heading in for the lay up. 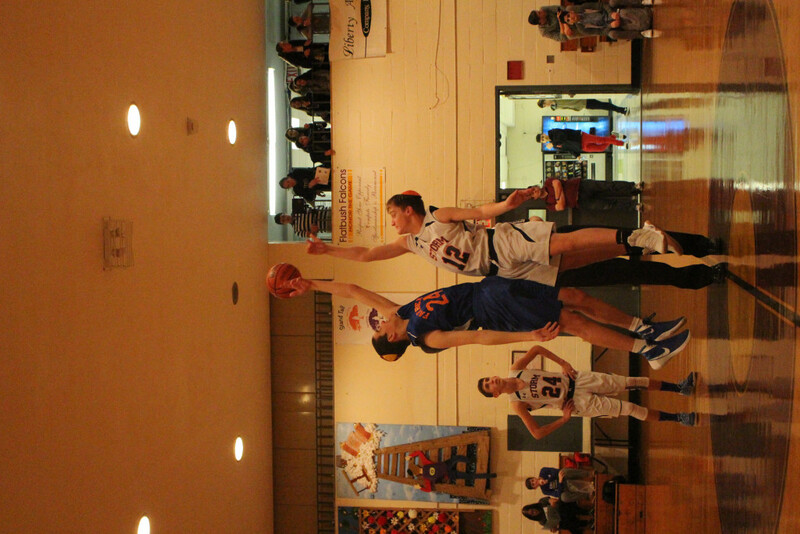 But he missed both, and Flatbush gathered the rebound with 10 seconds to play. With the clock winding down, the ball found its way to the hands of Joe Kattan, and he lofted his signature corner three – and found nothing but the bottom of the net! For the first time since the first quarter, Flatbush had the lead, 43-42. The Storm would have one last chance, but with 1.8 seconds on the clock, they overthrew the inbounds pass, giving the ball back to Flatbush. Kattan was immediately fouled, and he hit 1-2, again giving Katz one more last chance with .8 seconds still to play. Flatbush defensed the entry pass, and by the time the Storm got off a shot, the buzzer had sounded, sealing the Flatbush comeback, and setting a very competitive tone for the upcoming rematch to be played by these two squads today, when they will face off for all the Hausdorff marbles in the Tournament Championship game (tip off is scheduled for 12:30 pm). It was a quick turnaround for the boys of the four competing schools on Friday morning (12/2), with the boys from Katz, Cooper and Farber basically just having settled in for the night when they were awoken by their alarms to a new Brooklyn morning, the call for Shacharit tefilot and the first of the two morning games of the 2nd Day of play in the 21st Hausdorff Tournament. The early game pitted the host Flatbush Falcons against the Macs of Memphis’ Cooper Yeshiva HS. 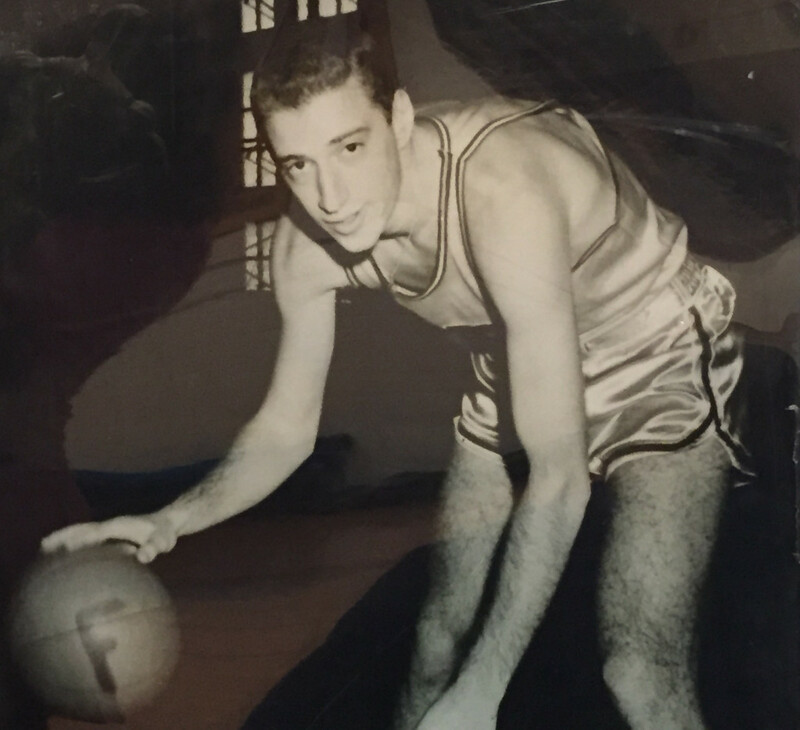 Flatbush jumped out to the early 3-0 lead when Leon Ades corralled the rebound of the opening salvo, kicked it back out to Eddie Lincer who swished the 3 ball. The falcons were off and running from that point, on their way to a 37-12 halftime lead. Cooper did not fold up their tents, though. 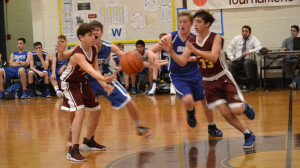 The Macs put points on the board in three of their first four possessions of the 2nd half, battled hard throughout and kept coming at Flatbush with everything they had. 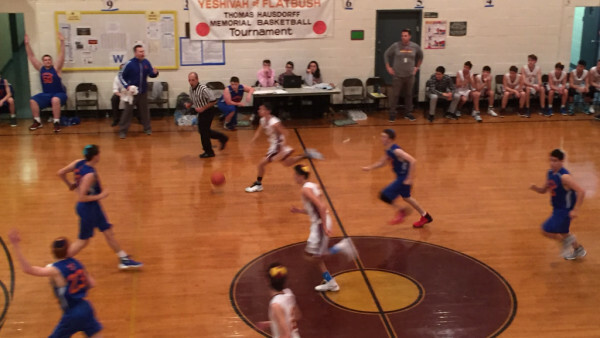 They showed marked improvement from their performance the night before, but Flatbush worked the ball methodically on offense, and scored more often than not. In the end, Flatbush was just to strong, and closed out the Game “C” win, 67-31. After the game, the members of all four teams gathered in the Beit Midrash for a special shiur with Rabbi Joseph Beyda, Principal of Yeshivah of Flatbush Joel Braverman High School. 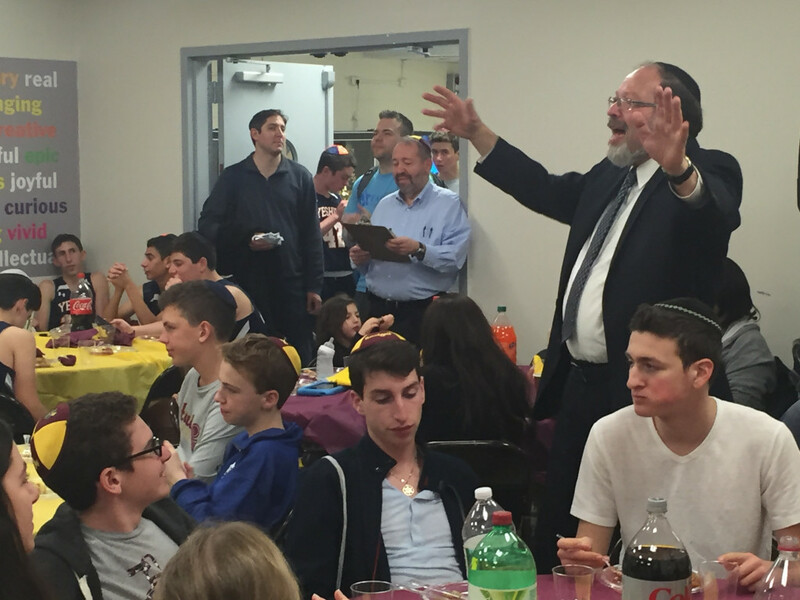 After welcoming the participants, Rabbi Beyda shared a lesson taken from the week’s Parasha – Toldot. The lesson focused on the two brothers, Yaakov and Eisav, noting that the Parasha refers to Yaakov as “yoshev ohalim,” and asks why does the Torah state that Yaakov sits in tents – plural – and not in a tent – singular, as would seem the more correct usage of language. 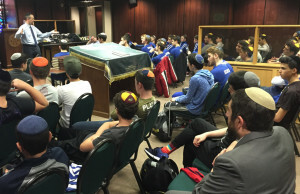 First, Rabbi Beyda pointed out that the “tent” is akin more to a Beit Midrash – a place of study – rather than just a dwelling. He went on to point out that the use of the plural “ohalim” is done purposely to show that Yaakov did not sit in just one tent, but rather he sat in more than one – he studied in more than one location, with more than one teacher; he studied with and learned from various sources. Rabbi Beyda related this story to the Hausdorff event, noting “we usually sit in our own places, but here we have an opportunity to get together and share our learning.” Place the focus on sharing the specialness of our differences, valuing them, and letting them bring us together to connect and grow. He challenged the players to get to know one another and “to sit in more than one tent” over the course of the weekend. After a break for lunch, which for many meant an excursion to the kosher restaurants that abound on Avenue J and Coney Island, the teams from South Florida and Michigan faced off in the Falcons Nest. It was a defensive battle from the start, with Katz registering the first points on a three pointer nearly 4 minutes in to the game. Both teams battled hard, and it showed in the score. 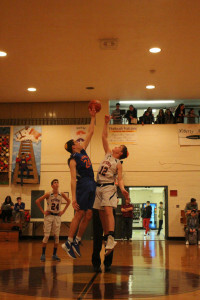 Farber yielded only 7 points in the quarter, but it was if their was a lid on the rim for the Pioneers, as they could not score at all in the opening period. They remedied that in the opening possession of the 2nd Quarter to cut the lead to 7-3. The Storm responded in kind, as the offenses began to find some rhythm with the score 13-5 Katz just three and a half minutes in. But it would be Farber that finally found its groove in the 2nd Quarter, closing to 13-10 with 1:30 to play before Katz finally answered to put the lead back to 5. That is where it stood at the midpoint, with the Storm holding an 18-13 advantage. The 3rd Quarter belongs to the Storm, as they clearly found what was missing offensively during the break, and streaked out to a commanding 43-18 lead by the end of the period. 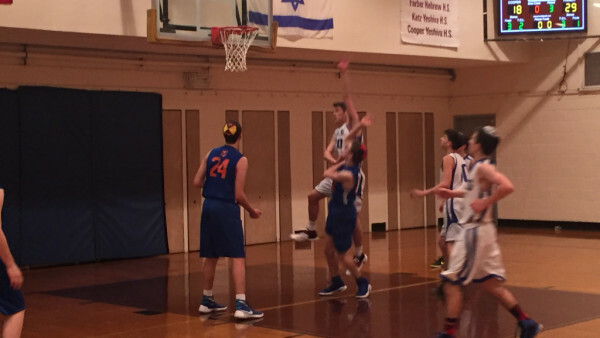 The final period was more of the same, and the game closed with Katz defeating Farber, 51-26. With the Friday games in the books, it was time to pause from basketball and get ready for the Shabbaton aspect of Hausdorff. 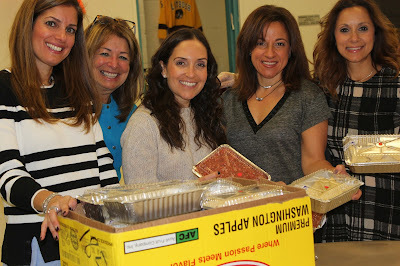 Kabbalat Shabbat was called for 4:30 pm with a scrumptious Seudat Shabbat to follow. The Hausdorff festivities went into high gear later at night when the Hausdorff participants are joined by members of the Flatbush community in what has become one of the most looked-forward to aspects of the Shabbaton – the Oneg Shabbat (which was graciously hosted at the home of Amy and Steve Sasson). 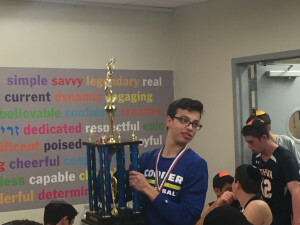 NEST NOTES: Motzei Shabbat will see the two teams looking for their first win of the tournament face off when Farber and Cooper do battle in the first game of the night at 7:00 pm. 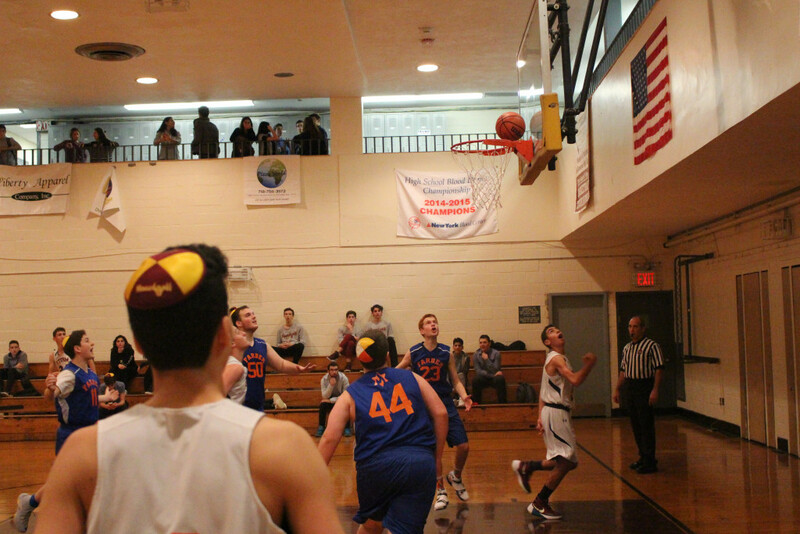 The nightcap will see the two undefeated teams tip off when Katz takes on host Flatbush at approximately 8:45 pm. 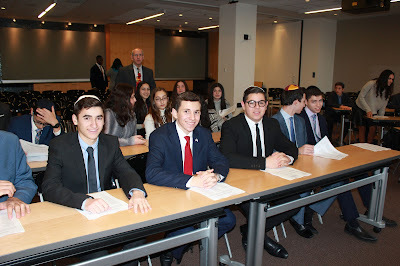 On Tuesday, November 29, 2016, The Israel Activism Commission under the leadership of commissioners Ben Wade and Amanda Heskiel along with Mr. Rothbort and Senora Shterenzer, journeyed to Washington D.C. along with 45 students to lobby three congressional offices and one senate office regarding the American Israel relationship. 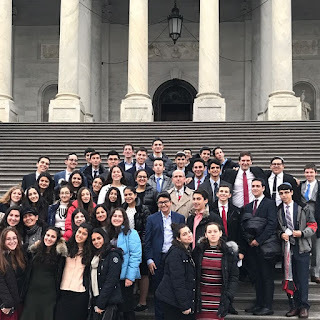 The students were divided into four groups, each of whom were all sent to different offices, including the office of Senator Chuck Schumer, Congresswoman Yvette Clarke, Congressman Peter King, and Congresswoman Kathleen Rice. 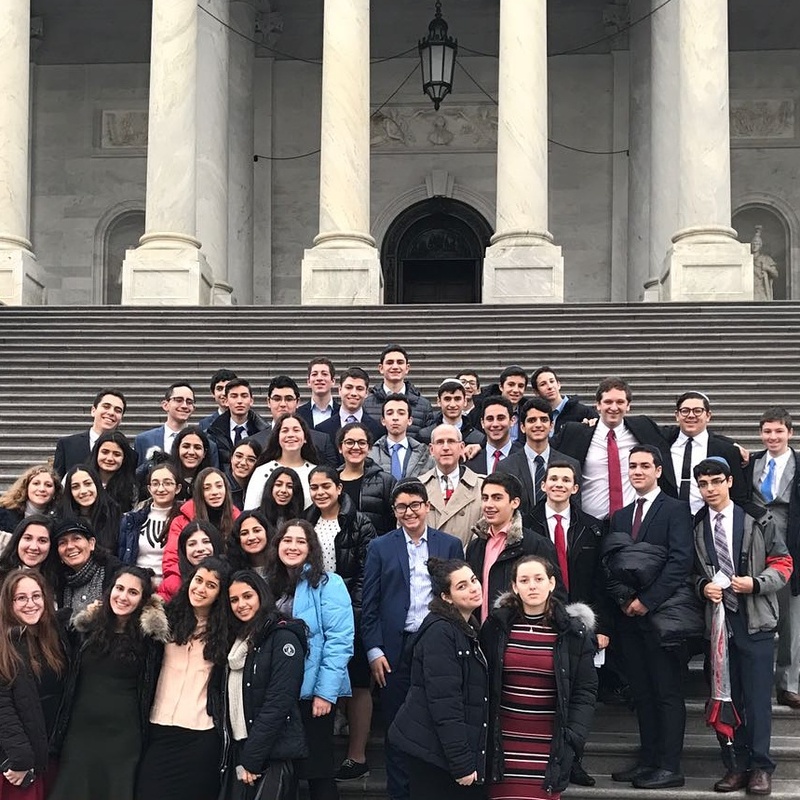 Upon arrival in the capitol, the Israel Activism students headed to AIPAC’s (American Israel Public Affairs Committee) headquarters in Washington to participate in a lobbying preparation session with some of AIPAC’s best lobbyists and student coordinators. 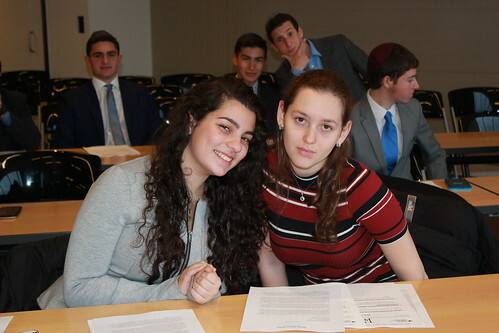 Once the session was complete, the students headed to their lobbying appointments, which were extremely successful. We were able to participate in a political process that only one percent of Americans take advantage of. Not only were our appointments successful, but the senate legislation that we lobbied in support of, the Iran Sanctions Extension Act, was passed two days later by a unanimous majority. Over 20 years ago, Coach Mike Gelber and Rabbi Naftali Besser – along with the rest of the Flatbush community – were shocked and saddened by the sudden loss of their dear friend and colleague, Principal Thomas Hausdorff, z’l. 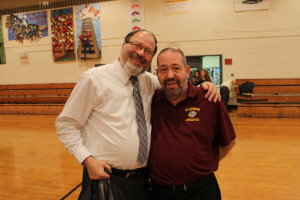 He was a teacher, an athlete, a mentor and a friend. In their grief, they sought an avenue to keep the memory of Mr. Hausdorff alive in a way that would be both meaningful and educational – and athletic; all things that were part and parcel to the character of the man. So was born the Hausdorff Tournament. 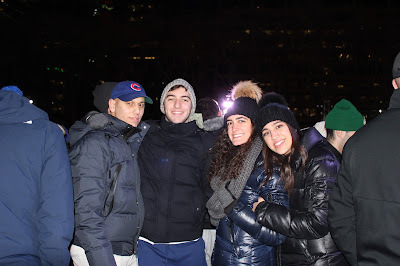 With this annual get-together, not only have Coach Gelber and Rabbi Besser kept alive the spirit and legacy of Thomas Hausdorff, they have created an event that has positively impacted hundreds of young yeshivah boys and girls in ways even they could have never dreamed possible. 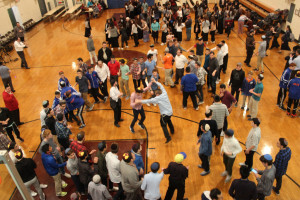 Thursday night (12/1), that legacy continued as the Yeshivah of Flatbush welcomed JV Boys Basketball teams from Memphis, Tennessee, Southfield, Michigan (suburban Detroit) and Boca Raton, Florida to join the school’s own JV Falcons as they gather to compete, to learn and to celebrate in the 21st Annual Hausdorff Invitational JV Basketball Tournament and Shabbaton. 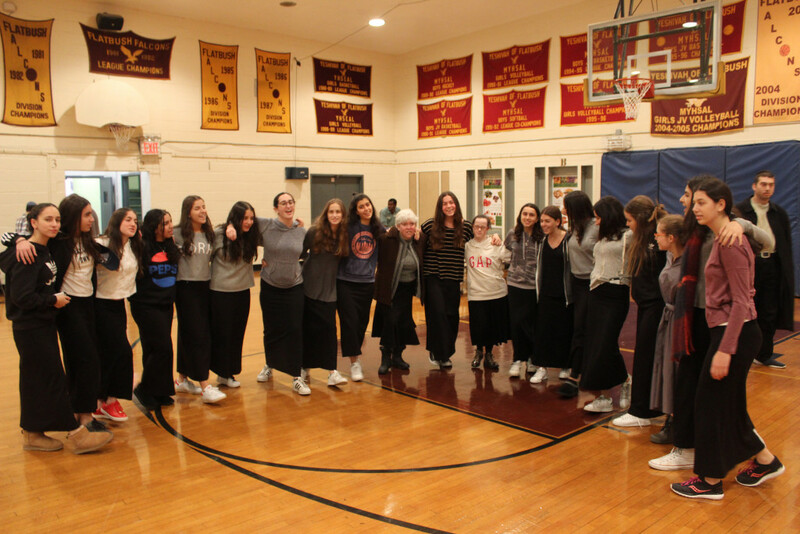 As has been tradition, almost immediately after arriving to the Brooklyn school, the visiting teams joined together to with their hosts, first to pray the Arvit (Ma’ariv) tefilot and then to engage in an act of great chesed – the Yachad program. 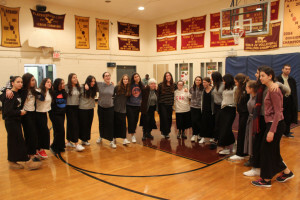 Yachad, The National Jewish Council for Disabilities, is a thriving global organization dedicated to addressing the needs of all Jewish individuals with disabilities and ensuring their inclusion in every aspect of Jewish life. Our inclusive design aims to ensure persons with diverse abilities their rightful place within the Jewish community, while helping to educate and advocate for a greater understanding, acceptance, outreach, and a pro-disability attitude. The program, led by Rabbi Besser, brought the players together with members of the local Yachad community to share in the spirit of singing, dancing and dining together. It was then time to get down to the business of basketball! Up first were the teams from Memphis and South Florida. 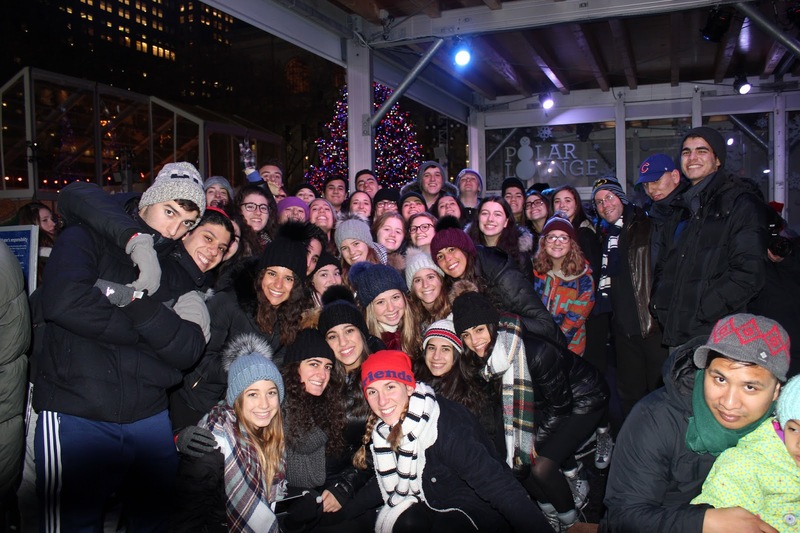 The Cooper Macs, who arrived to New York on Wednesday night and spent the better part of Thursday exploring The City – from Yeshiva University to Times Square, squared off against the Katz Yeshiva Storm. The Macs of Memphis jumped out to the early 3-1 lead, but could not build on it. Halfway through the opening quarter, Katz evened the score, then the Storm stormed right past them to take a 13-4 lead at the end of the period. Cooper found some life in the 2nd Quarter, and cut the deficit to 6 at 17-11, but Katz not only answered, they exploded past the Macs, and took a 32-13 lead at the half. Katz poured it on in the second half, and cruised the rest of the way to a 52-19 win in the opening game of the tournament. 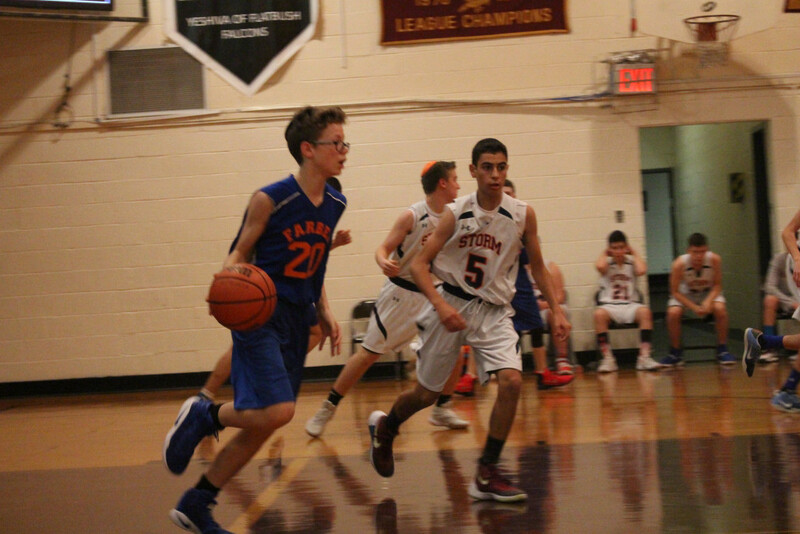 A bit later than planned, the host Flatbush Falcons faced off against the Farber Pioneers in the Day 1 nightcap. Farber struck first, but Flatbush soon came back to take the 8-4 lead midway through the opening quarter on a Joe Kattan floater. 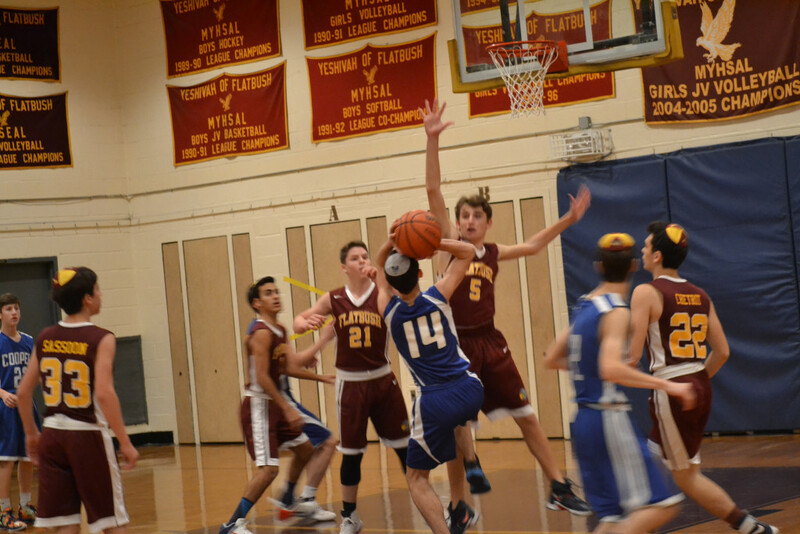 It was clear, though, that this would be a defensive battle, as the teams played tough end-to-end with Flatbush maintaining the 4-point cushion to lead 11-7 after one quarter of play. Farber was not content to keep thing that way, though, and scored the first 7 points of quarter number 2, prompting a Falcon timeout to stem the momentum that had swung in favor of the Pioneers. It proved positive for the falcons, as they went on a small run of their own to take a 17-14 lead with 3:40 left in the half. Flatbush then found a new gear, going on a 7-1 run to close out the half, and take both the momentum and a 24-15 lead into the break. 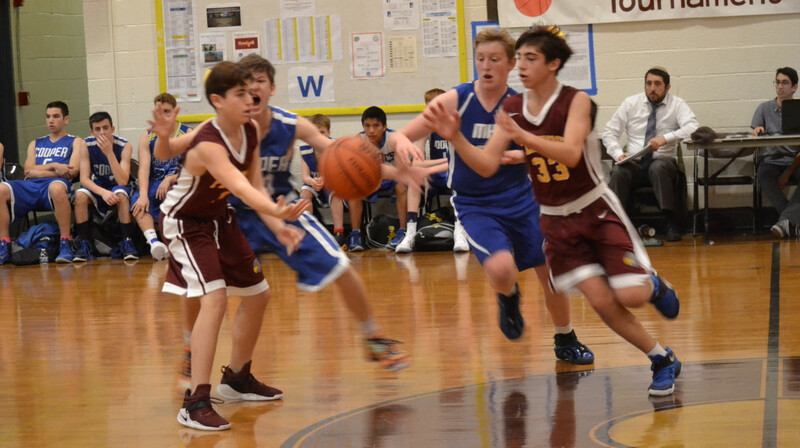 The 3rd Quarter, though both teams battled, Flatbush continued to slowly stretch the lead and held a 35-22 advantage heading into the final quarter of play. It was more of the same in the final quarter, as Flatbush did not let farber back in at all, closing out Day 1 of Hausdorff with the 43-28 win. NEST NOTES: Kudos to the Hausdorff broadcasting team of Natanel BenShabat, Max Shemtob and Ariel Uzan, for making the games exciting nationwide!